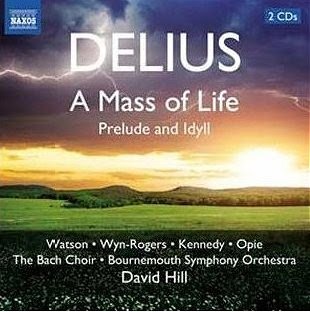 In the Delius anniversary year it is pleasing to see the composer's Mass of Life receiving the attention it deserves thanks to an outstanding new Naxos recording by David Hill and the Bournemouth Symphony Orchestra with the Bach Choir. But most of the attention so far has been focused on Delius and Nietzsche, so I thought it was time to redress the balance and give Zarathustra a little bit of the limelight. Peter J. Pirie provides one of the most balanced assessments of A Mass of Life in his book The English Musical Renaissance, explaining that “The words are by Nietzsche, from Also Sprach Zarathustra, and they are better poetry than philosophy; Delius loved this sort of intemperate, heady versifying, it confirmed his prejudices and he did not look too deeply into the logic of the text”. Delius may have valued Nietzsche for his poetry more than his philosophy, but, nevertheless, a study of the text is revealing. Far from propagating Zarathustra’s original teachings, Nietzsche believed his destiny was to undo the damage caused by them. Central to Zarathustra’s teaching was the tension between the powers of good and evil, and Nietzsche believed that this duality was the root of humanity’s greatest curse – morality. So Nietzsche took it on himself to write the prophets’ disavowal in the form of Also Sprach Zarathustra. In it Nietzsche famously declares that God is dead and religion no more than a self-delusion, and he advocates replacing conventional religion with individually defined values that have the ultimate aim of transcending mortal limitations to create the ‘super-human’. This led to the loathsome doctrine of power is good and weakness evil; an ideology that Nietzsche shared with Wagner, which was misappropriated by the Nazis, and which still remains with us today in the politics of the extreme right. It is one of life’s ironies that Zarathustra (also known as Zoroaster) is familiar to millions today through two masterworks, Nietzsche’s Also Sprach Zarathustra and Richard Strauss’ eponymous tone poem, both of which subvert the prophet’s original teachings. The exact dates for Zarathustra are not known, but it is thought he lived in what is now Iran sometime between 1400 and 1200 BCE. At the heart of his teaching is the belief that each individual has a free choice between good and evil, and that following the path of righteousness leads to salvation. In its traditional form Zoroastrianism was practiced in fire temples, eschewed orthodoxy and advocated monotheism in the form of the wise god Ahura Mazda; which is why the religion is also known as Mazdaism and Magianism. Parsi (from the word Persian) communities in India, Iran and elsewhere continue to practise Zoroastrianism, but the contemporary faith has departed from many of the original values. What is surprising are the links between Zoroastrianism - the oldest of the world's religions - and present day beliefs. Before the start of recorded history Zarathustra built a faith on concepts including a single God, good and evil, heaven and hell, and the end of the world. Today those concepts are cornerstones of three great revealed monotheistc traditions, Judaism, Christianity and Islam, and elements of early Zoroastrian rites can be found in each of these three religions, including baptism and ritual ablutions. Links to Zoroastrian occur in the most unlikely places - opposition to formalism coupled with dualist beliefs connect it to Christian heresies such as the Cathars, while one view is that the three Biblical wise men were Zoroastrian priests (Magi from Magianism), and Sorastro in the Magic Flute is, of course, none other than a theatrical reincarnation of Zarathustra. Delius cannot be blamed for not looking too deeply into the logic of the text that he set in the Mass of Life. Because at the turn of the last century Nietzsche was trending, with Gustav Mahler - another fan of intemperate, heady versifying - setting the Midnight Song from Also Sprach Zarathustra in his Third Symphony. And Nietzsche’s take on the great prophet has continued to trend ever since thanks to Stanley Kubrick and others. But it may now be time to forget Nietzsche and let Zarathustra speak for himself, so that his powerful vision of good usurping evil and free-thinking usurping orthodoxy can resonate with a generation who have tired of the demi-gods of bankers, politicians and television celebrities. There is more unorthodoxy in A vintage year for blasphemy and heresy. * Attempting to summarise Nietzsche in a short article is unwise. Attempting to summarise both Nietzsche and Zarathustra is doubly unwise in view of the erudition of my readers. Errors are mine only, but I did consult a number of sources. 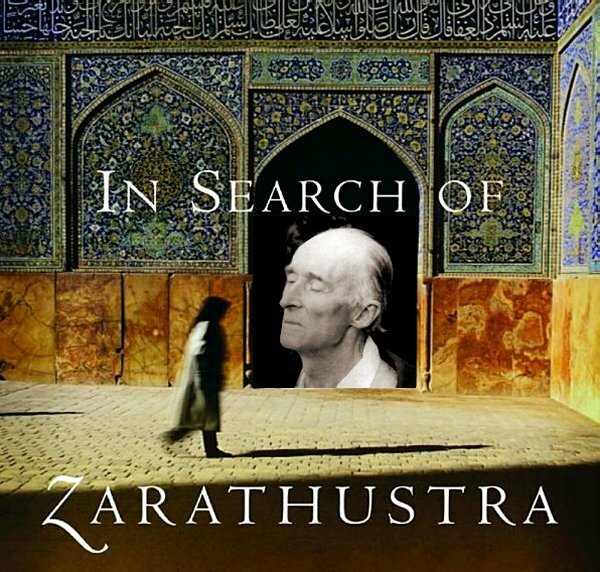 In Search of Zarathustra – from which the US edition cover of which the header montage is sampled – is particularly recommended for its commentary on the links between the prophet’s teachings and the monotheistic faiths. Its author, the late Paul Kriwaczek, was a music producer with the BBC, and his biography tells us “He left the BBC in the 1990s, when it stopped being fun”. Other sources include Paul William Roberts’ Journey of the Magi, Sean Martin’s Gnostics and A Handbook of Living Religions edited by John R. Hinnells. No review materials were used in the preparation of this post. Any copyrighted material on these pages is included as "fair use", for the purpose of study, review or critical analysis only, and will be removed at the request of copyright owner(s). Report broken links, missing images etc to - overgrownpath at hotmail dot co dot uk Also on Facebook and Twitter.